The internet provides consumers with access to a wider selection of products and information than ever before. However, there is far too much information available for consumers to read everything. If someone were to print out all the reviews and comments from the average Amazon listing, it would be several pages of reading. A recent study analyzed how consumers deal with the deluge of review information and found the answer was simple, many consumers are just skimming. 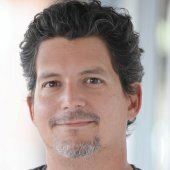 According to a new paper from Dr. Raffaele Filieri of the Newcastle Business School, in which he studies brands such as Kia Motors and TripAdvisor.com, reviews can be more influential than other marketing activities when it comes to enabling consumers to evaluate the quality of a product. 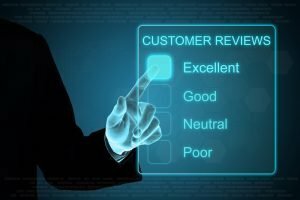 Some reviews are clearly better than others, and savvy consumers should know to check the source of a review and other factors to determine the credibility. This takes time, and researchers have noted that few consumers actually pay attention to the content of a review, or its source. Many consumers base their decisions on the easy-to-understand, and more visual, overall star-rating for a product. “Only a very limited number of people check the credibility of a reviewer and so my results show that credibility is not important for consumer decisions, rather the overall ranking and a product’s features rating,” said Dr Filieri, according to media reports. Even if people are just looking at the number of stars on the review, they put a lot of trust in the information. The paper that consumers will consider reviews from strangers and anonymous sources with little thought to the credibility of the review, in the absence of recommendations from family or friends. This confirms what has been seen in other studies, that consumer find online reviews as useful as the opinion of sources they know personally. Online retailers can use this information to increase the conversion rates on their product pages. Instead of having one or two full reviews, it could be more effective to use the same amount of space to show six star-based ratings and just a snippet of the review with a link to the rest. This would give people more easily-digested information quickly to show the favorable responses to a product. Consumers who want to dig deeper will be able to click the link to get all the review details. Remember, every customer base is different, so business owners may want to use AB testing see if the conversion rate is better when full reviews are show or when there are just stars for ratings. The higher the price of the product, the more likely customers will want to read everything other users wrote and even verify review sources. Dr. Fileri also notes that “very few consumers will read more than 10 reviews before making the decision to buy a product or service – what’s important, to evaluate a product’s quality and performance, is the quality of information provided in those few reviews”. Interestingly, recent changes to Google make use of the hybrid star-rating and review snippet formula. Now, on certain products on Google Shopper, there is a set of stars and a snippet from a review to address five or so categories about the product, like price, quality, etc. Reviews are important for online retailers and this research confirms that people base their decisions on the information they find in reviews. Business owners should encourage customers to leave reviews and showcase the best ones prominently on their product pages. For more information about online reviews, read this article on a study about how women use reviews.